Founded in Switzerland in 1887, Jakob Müller AG is the world’s leading company with regard to technology for the manufacture of woven and knitted tapes and webbing, woven ropes, woven labels and technical textiles, printed narrow fabrics, dyeing, make-up and winding machinery. At Techtextil Jakob Müller (Hall 3, Level 0, Stand No. B19) will exhibit three innovative machines from different sectors of their portfolio. Furthermore the company will inform about their one-stop-shopping delivery programme, which covers the entire process chain - everything from a single source. The Müller supply programme covers all the needs of the ribbons and narrow fabrics industry from individual yarn processing up to the finished, made-up product. In the sector of narrow fabric weaving systems Jakob Müller will exhibit the new electronically controlled narrow fabrics loom NH2 53 2/130. The successfully launched NH2 53 narrow fabric loom is now available on the market in the widened and strengthened NH2 53 2/130 version, which has a reed width of 130 mm, enlarged shed and increased heald shaft lifting power (= NF heald shaft geometry). 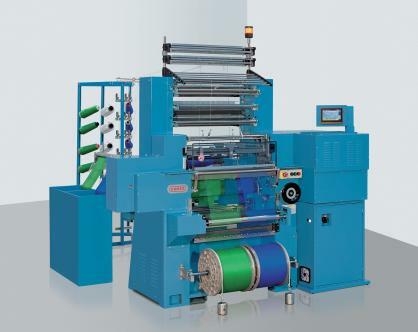 This electronically controlled narrow fabric loom, which offers virtually unlimited repeat lengths, will be shown producing a bag tape with woven-in drawstring. As a result of the electronic shed formation possessing patterning possibilities employing up to sixteen electronically controlled heald shafts, a variety of bags in differing sizes can be produced on every machine space. Mechanically controlled machines do not possess this capability. The bags can be used to carry tools or small components for assembly purposes. The drawstring is woven in during the weaving process, which means that an additional make-up phase is unnecessary. 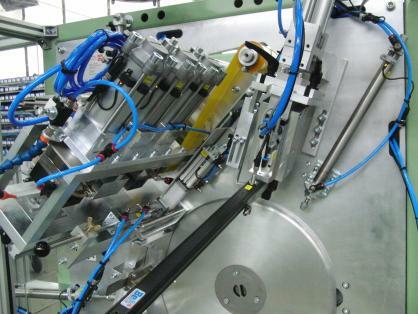 The production costs of the machine are considerably lower owing to its energy requirement of less than 2kW, limited maintenance requirement and reduced need for spare parts, as only a few mechanical parts are employed. In the sector of warp crochet knitting systems Jakob Müller will exhibit the COMEZ ACOTRONIC 8B/600. This is a high-efficiency, electronic crochet knitting machine that employs compound needles for the production of a wide range of ribbons, technical and medical textiles, both elastic and non-elastic. Compound needles make the machine highly versatile, as in addition to classic synthetic yarns (polyester, polyamide) they allow the processing of natural yarns (cotton, wool) and special fibres (Kevlar, fibre glass, carbon, basalt) in the warp. The machine comes in several gauges, from E10 to E20, has a 600 mm working width and is fitted with eight weft bars with electronic control, which can effect weft movements of up to 34 mm. A supplementary warp tube bar with electronic drive (BPO/STR-600) can be supplied on request. This has an electronic drive that allows the creation of various knit constructions in the warp (open lock-stitch, closed lock-stitch, etc.) that lend the fabric a lock-stitch character. More complex knit constructions (e.g. double lock-stitch) are also possible using the BPO/STR-600 together with the standard warp bar, which is driven by special cams (TRICOT/S). The machine is supplied with one feeder for elastic threads, one feeder for non-elastic threads, one feeder for warp threads and electronically controlled finished product take-off. On request, additional feeders fitted with electronic controls can be mounted on the machine for elastic or non-elastic threads. The electronic drive applied to the feeders and the finished product take-off provides the possibility of varying stitch density values (stitches/cm) in a single product, as well as different values for weft/warp feeding and elasticity. The COMEZ ACOTRONIC 8B/600 is fitted with the colour touch screen DATA CONTROL CONTROLLER, which manages all essential machine functions, monitors production data and enables the realisation of lengthy pattern repeats. 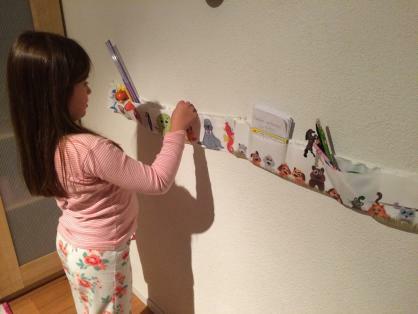 Indeed, the number of lines available for each pattern is virtually unlimited. Exclusive PC textile software completes the patterning and programming. The machine can be fitted with the electronic, DLT/EL long throw device that can control up to three weft bars and allows the production of fabrics with long weft movement of up to the full working width along with the possibility of single pick control. In order to guarantee constant warp feeding tension, an electronically driven positive feeder can be used, which allows the setting of the quantity and tension of the yarn to be fed to the needles. A very interesting new feature of this machine is a special embroidery device which allows to sew weft yarns into a ground fabric. This devices requires the use of piercing-compound needles and the yarns that can be processed are really numerous: Synthetic and natural yarns as well as high-performance fibres (e.g. Kevlar, fibre glass, carbon, basalt). For warp yarns in particular, it is possible to use beams that require little space and ensure the starting steadiness of the yarns. Beam supports are available for positioning on the machine base or at a distance. In the sector of technical textile make-up Jakob Müller will exhibit the UV60-W automatic cutting and winding device. The UV60 automatic cutting and winding machine is designed for the make-up of medium-weight and heavy, non-elastic belts. Coreless rolls are wound from the start of the belt and the end can be fixed with a metal clip. Rolling from the middle of the belt is also possible with the result that both belt ends are free for further processing. The machine is also suitable for the cutting of belts to length alone. At the fair, the machine will be shown for the first time with a new five-compartment tool changer. The tools sit on a rail and are quickly and precisely positioned over the belt using SPS control. As a result, the UV60 offers a vast range of make-up possibilities. The mature and practically tested concept is characterised by high levels of operational and service friendliness, as well as compact design. Automatically applied markings also facilitate further processing. Stored product parameters can be called up easily and permit quick and straightforward machine setting or adjustment. The five-compartment tool changer allows the integration e.g. of a marking device, a rotatable knife for angled cutting and a perforation tool. The UV60 thus provides an enormous selection of range of processing and make-up possibilities. Printed narrow fabrics such as lanyards, zips, vertical blinds, elastic underwear etc.